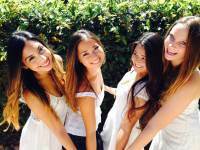 We have 4 Greek councils at SDSU! To learn about each council, visit the Greek Councils and Chapters webpage. With that in mind, it it important to note each council has a unique recruitment or membership intake process. It is recommended that prospective members, first, review the information on this webpage. Second, visit each council webpage (at left) to learn about each council's process, registration requirements and recruitment logistics. As a prospective member, you are also encouraged to consider attending a Go Greek! Information Session. Another opportunity to learn about the Greek community is the Greek Life Expo! The Greek Life Expo occurs on the 1st Thursday of the 1st week of classes in the fall semester. Regularly Enrolled at SDSU and in "Good Standing"
To participate in any Greek recruitment/intake processes, students must be regularly enrolled, taking a minimum of 3 units at San Diego State University and are required to be in good standing (not on academic or disciplinary probation). If a student is placed on probation with the University while participating in a recruitment/intake process or before being initiated, the student will not be eligible for initiation. SDSU students in Extended Studies, the American Language Institute, or who are considered Open University students are ineligible to join any Greek organization. The first few weeks of the academic year are critical and the dry period seeks to reduce risk for SDSU students. The "dry period" policy, which is in effect from August 1 - October 1, states that all events held by recognized student organizations must be alcohol (and substance) free. Greek Life hopes that our community is mindful of the safety of all SDSU students. Whether a chapter has a facility or not and whether the chapter hosts an event on or off campus, it is important to understand that there are consequences-both from the individual Greek Councils and the University-should violations of the dry period occur. Please make the commitment to reduce risk with our community. Participation in a hazing practice will result in both individual and organizational disciplinary action, including possible expulsion. For more information about hazing, please visit the Anti-Hazing Information webpage. 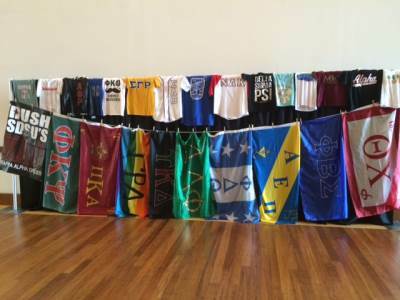 Individual Greek organizations/chapters often have specific minimum requirements to join. It's important to know and ask questions about minimum requirements when deciding to pursue membership! Some chapters require 3 to 12 units in order to join the organization as a first-year freshman. Other organizations may require prospective members to wait until the second semester of freshmen year to pursue membership. This is common for most NPHC chapters at SDSU. Each Greek organization has a specific GPA requirement for prospective members. For first-year freshmen pursuing membership, organizations may require a GPA from 2.25 to 3.5. It is important to note, most chapters require prospective members to maintain a certain GPA requirement to be eligible for initiation (full membership) in the organization. For GPA requirement information, please refer to the GPA Requirements to Join by Chapter. None of the councils require letters of recommendation to participate in recruitment, however, some individual chapters' processes include this requirement. Most NPHC chapters require members to provide at least 1 letter of recommendation and oftentimes it must be from an alumni/a member of the organization in which they are pursuing membership. The CPA and IFC does not require potential new members to provide any letters of recommendation to participate in recruitment. If a letter of recommendation is not required to join, chapters will often accept and take into consideration any letters of recommdation that are sent on behalf of a prospective member. All letters of recommendation should be sent directly to specific chapters. For address information, please refer to the Chapter Directory. Some chapters have community service requirements for prospective members. For others, it is not required but will be taken into consideration. Each summer, chapters submit projected cost to join and cost for membership (commonly referred to as "dues" or "fees") for the upcoming academic year. It is important to keep in mind dues/fees vary by council and by chapter. Many prospective members are concerned about the time commitment of being a member of a fraternity/sorority. We asked our chapters to report typical time commitments of prospective/new members. Results vary by chapter. Are there attendance requirements? Most meetings are required. Some additional activities are required. Consequences for unexcused absences could result in a monetary fine.